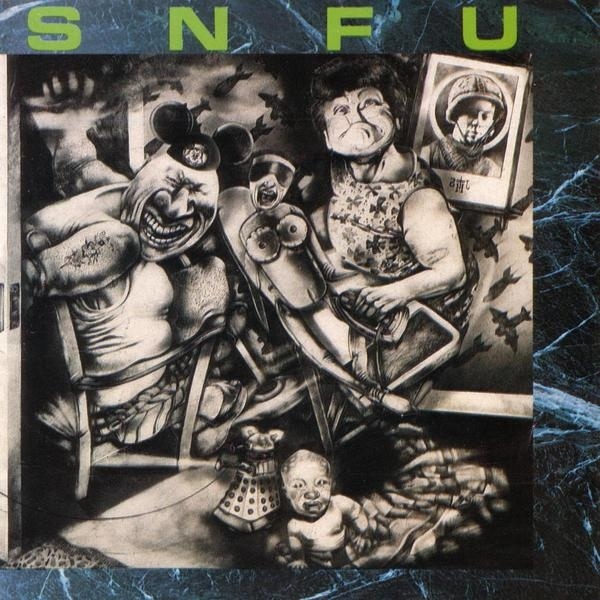 If you swear is one of my favourite albums ever, and certainly my favourite SNFU album, absolutely love it, every track on there. who is woning that bootleg of them and could share it in flac with the eternal Zer??? apparently it was made by original drummer! This concert is almost the musical version of Jurassic World. I used to own all these on vinyl and CD. My friend and I would wear SNFU shirts every Sunday, smoke weed and go skateboarding. It seemed to us these guys beat the wooden fish to a very high level. 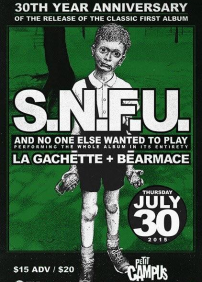 (Buddhist jokes) I've seen SNFU countless times live, as well as Chi in the Wongs and the Belkes in the Wheatchiefs and other bandmembers in their projects. I have other stories too, but enough boring the masses with my drivel. Thanks, Zer The Great. Jim. I just finished watching Blaine from the Accused (and Zippy's Giant Burgers) on the Food Network show “Mystery Diners,” which I'd normally avoid, but I recognized Blaine as I flipped by it. That was weird and pretty funny. Horns up. I need to watch this! Is there a replay or youtube link? Sorry it's taken me a while to repond. Yes it's on youtube, but whoever uploaded it cut off some of the picture (some of this episode is subtitled) and it sounds like it's been sped up by a bit, voices are a bit odd sounding. It's still enough to get the story. Mystery Diners S05E09 Mascot Mayhem. Here's the link https://www.youtube.com/watch?v=zd9iE-DCZQM.